TUESDAY, May 31, 2016 (HealthDay News) -- A part of the brain that responds to bad experiences acts in an unexpected way in people with depression, a small study finds. One theory suggested that the pea-sized structure called the habenula was overactive in people with depression, so researchers decided to test that hypothesis. The investigators scanned the brains of 25 people with depression and 25 people who never had depression while they were shown images associated with receiving or not receiving a shock. "Surprisingly, we saw the exact opposite of what we predicted," said study senior author Jonathan Roiser. "In people with depression, habenula activity actually decreased when they thought they would get a shock. This shows that in depressed people the habenula reacts in a fundamentally different way," he explained. "Although we still don't know how or why this happens, it's clear that the theory needs a rethink," said Roiser. He is a professor at the Institute of Cognitive Neuroscience, University College London. Average habenula size was the same in both groups. However, participants in both groups with a smaller habenula were more likely to have a loss of interest or pleasure in life, according to the study published May 31 in the journal Molecular Psychiatry. 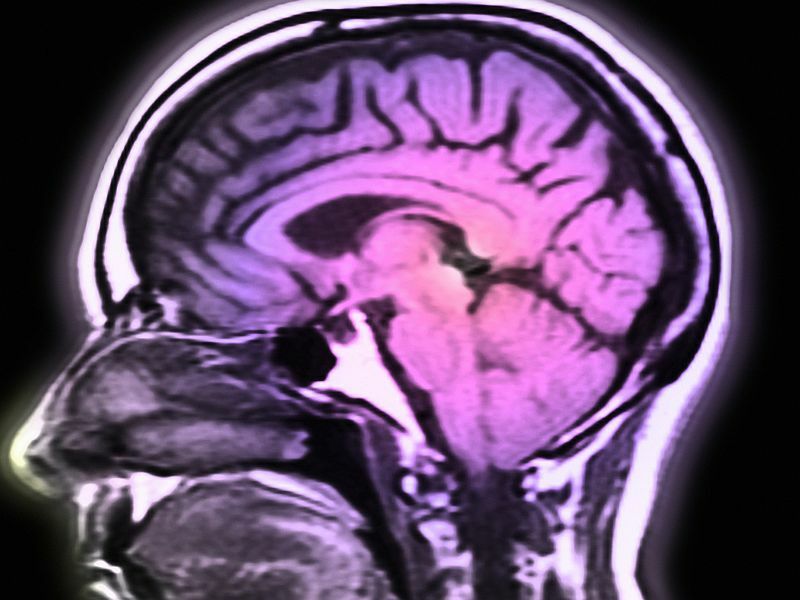 "The habenula's role in depression is clearly much more complex than previously thought," lead author Rebecca Lawson, from the Center for Neuroimaging at University College London, said in a university news release. She added that "one possible explanation is that the habenula may help us to avoid dwelling on unpleasant thoughts or memories, and when this is disrupted you get the excessive negative focus that is common in depression."